← How do babies learn to love? “Research has proven that babies born without trauma enjoy an intact capacity to love and trust”, says midwife Robin Lim. The way a baby is born can create physical and emotional patterns that may affect him for the rest of his life in both positive and negative ways. The way each baby is born gives us a wonderful opportunity to create a better world. But sadly the way most babies arrive in the world today is not optimal, as birth is often turned from a natural occurrence into an unnatural medical event. But with the relatively recent work of professionals such as Dr William Emerson and Dr Aletha Solter in the USA, much can be done to help these babies from the very beginning. On a cellular level, babies are conscious from conception. As the foetus matures and the brain and central nervous system develop, the baby begins to experience the relationship with his mother. He is affected not only by the food she eats and whether or not she breathes clean air, but also by her state of mind and emotions. Stress hormones are passed to the baby via the placenta, and likewise, ‘feel good’ hormones reach the baby when the mother is relaxed and happy. So he will tend to feel what the mother feels and experience her emotional states as his own. By the time the baby is born, he has 9 months of life experience and learning behind him. But birth is such a huge transition, that it becomes the source of very important programming and imprinting, teaching him what to expect from the world he is entering, and creating ‘life-scripts’. Labour can be a time of hard but shared work, culminating in the reward of a successful birth, or it can be an experience of exhausting struggle, inside a drugged mother, with the baby having to be ‘rescued’ at the end. It can also be an elective caesarean section where the baby experiences being pulled out of his mother’s body without warning. If he is taken away from the mother after birth (experienced by the baby as ‘abandonment’) more trauma is added. Healthy newborns, full-term or premature, should never be separated from their mothers. The baby hormonally signals his readiness to be born. The mother’s body responds. This leaves the baby with a feeling of ‘empowerment’ and ‘rightness’. Labour is of fairly normal length and without complications. The mother works with the baby to help him be born successfully. This is the baby’s first experience of co-operative work, with a positive outcome. Such a child will have a life script of ‘I can succeed’. After birth the baby is placed skin-to-skin on the mother’s chest where she holds him lovingly, strokes him, speaks to him softly and offers him the breast and the reward of her sweet milk. The baby learns that even if life is not always easy, hard work will be rewarded. Life scripts learned when there are complications. Children who have needed ‘assisted deliveries’ (forceps, vacuum extraction, caesarean section) often find it easy to begin things but tend to become easily discouraged later, just as they were able to begin, but not complete their birth experience. So they may need help and encouragement in order to complete tasks. 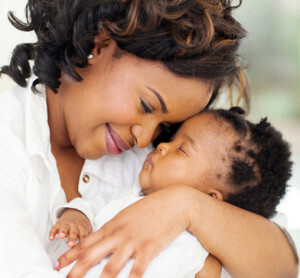 Babies born by elective caesarean section (sometimes necessary) may have some of the following life scripts: “Life is something that happens to me” (passivity) or “I don’t like things happening suddenly when I am not ready”. These babies have also missed out on the important stimulation of the birth contractions. In a difficult labour, if help comes as soon as the baby goes into distress, he will learn, “When things go wrong, someone helps me”. If rescue takes a long time to arrive, the baby learns, “Survival is hard and I have to struggle all by myself to stay alive”, or “I need help or I shall die”. The babies most affected are those who do nearly die and need to be resuscitated. Such difficult births can lead to lives dominated by feelings of helplessness and depression, especially if there is no contact with or comfort from the mother straight after birth. But these babies can be helped with sensitive parenting and extra therapy if needed. If the baby has had a difficult birth, the most helpful thing the parents can do is to hold and comfort him. This will teach him that even when life seems hard or painful, there will be love and comfort afterwards. A baby born by elective caesarean section misses out on the stimulation of the labour contractions which can lead to physical and emotional problems. Daily massage, starting as soon as possible, can help. If a baby has been separated from the mother after birth, he will need a great deal of loving touch and closeness throughout infancy and childhood. Doing Kangaroo Mother Care, wearing the baby in a sling in the day time, and co-sleeping with the baby at night are all helpful. If a child has been rendered passive or helpless by a birth experience where being non-assertive was life-saving, it helps to create new, more assertive patterns early on. Always encourage a child who is having difficulty starting or completing things. Consistently acknowledge hard work with warm appreciation. The consequences of birth experiences can last a lifetime if not treated, so resolving them is important. It is also known that throughout life, starting in babyhood, the psyche will try to replay these traumas as an attempt to self-heal. This is addressed in some psychodynamic therapies. Most birth-related therapy to date, however, has been done on adults. The work of Drs William Emerson and Aletha Solter is unique, as they begin the healing work with babies. Therapy from a professional is valuable if the trauma was severe, but Dr Solter also teaches parents how to support babies who have undergone early trauma. She points out that there are two reasons why babies cry – one is that they have a need in the present. They may be hungry, ill, in pain or needing more love and holding. But if taking care of these needs doesn’t help, the baby may in fact be spontaneously reliving earlier trauma and should not be stopped from crying, but rather be ‘facilitated’. During her workshop in Cape Town in May 2007 I had the privilege of watching Dr Solter do this work with a baby of about 2 months old (though Dr Solter didn’t say it was birth the baby was reliving, it seemed clear to me.) The baby, who was with his mother in the audience, was ‘niggling’ and though the mother was trying to calm him, nothing she did helped. Dr Solter asked the mother if she would like to bring him forward. It was established that the baby had recently been fed and wasn’t hungry. But he had been through a very long second-stage of labour, and the mother had to push for many hours, before he was born. With the mother sitting beside her, Dr Solter held the baby gently and made eye contact with him. Then she very gently cupped her hand over his head. He began to cry more loudly, and I recognized this cry as ‘birth crying’ from my own experience of working with these issues in therapy (both my own, and facilitating other people). He also started pushing very hard with his legs, so Dr Solter put her hands under his feet to give him something to push against. (It is very important when doing this work to follow the cues that the baby gives). The baby cried very hard for about 15 minutes and then he became calm, and was handed back to his mother, relaxed and peaceful. In Dr Emerson’s work, babies who have been through birth trauma are brought to him for a series of therapy sessions. Therapy includes not only the reliving of the original trauma, but also an experience of how an optimal birth would have been, called ‘repatterning’. For example, if the baby was stuck in the birth canal or missed out on this part of labour, a new ‘birth canal’ may be created (e.g. using his mother’s legs, or a tunnel made of pillows). As his therapy progresses, he will be assisted to push himself through it, and be ‘delivered’ at the other end. Dr Emerson feels that this part of the therapy is important, and that catharsis alone is not enough. (In Aletha Solter’s method, re-empowering the baby would be included in “Attachment Play”). In therapy the baby will give body cues to indicate how and where trauma is stored. That part of the body may then be gently touched to reactivate the memory of the trauma. For example, if the baby was delivered by forceps, the head will be very sensitive. A baby born with the cord tightly wound around his neck might be helped by gentle touch on the neck area. The baby is also allowed to engage in the process, or to choose not to. He is always treated very respectfully, and allowed to ‘take the lead’ in where his therapy is going. Babies will often indicate very clearly to the therapist through their body language and movements which parts of their bodies have been traumatised and where help is needed. We are all born with the ability to heal from trauma. If something happens to us that is too big to integrate at the time, we dissociate from it, and then it comes up later in little bits to be healed. Birth is often traumatic to babies, which is why they cry so much in the first three months. Starting from birth, mothers can learn the difference between crying that says, “I am hungry” (or expresses some other need in the present) and the kind of cry that means, “Please hold me in your loving arms and let me cry about something that hurt me in the past so I can heal from it.” Babies who are allowed to do this whenever they signal the need, also get the chance to cry about all the little frustrations that build up every day, and they tend to sleep better at night, waking only when they are hungry. Cape Town midwife, Marianne Littlejohn points out that once they are involved in working on their birth traumas, babies become very upset if their process is interrupted during a session. Aborting the process will often result in cries of indignation. But once they have released as much as they need to reach resolution in that session, they are happy to stop, be cuddled, breastfed or fall asleep. Therapy usually takes much more than just one session, but babies clearly indicate when they have had enough for the day. They stop crying and reenacting their birth, and become peaceful. Completing therapy Dr Emerson explains that we can tell when a baby has resolved their birth trauma. For example, many babies have sensitivity around the head, as that is the part of the body that usually experiences the most pressure and pain during birth. Early in therapy the baby may go red in the face and start to cry loudly if his head is touched even very gently. He will then clearly go through a birth sequence. (A baby without birth trauma would probably enjoy having his head touched, and would not react with crying). During the phase of “repatterning” (creating the birth that should have happened), if the baby cries loudly, the therapist will pause and allow catharsis to happen. After a series of sessions, we can tell when the trauma has been resolved. The baby will no longer cry when any of his sensitive areas are touched, and may even show enjoyment when touched in those areas. The symptoms that made the parents seek out therapy (e.g. a tense and unhappy baby, inconsolable crying, colic, startling, frequent night waking, avoiding eye contact, tactile defensiveness, etc.) do not occur any more, and the baby becomes happier and more contented. At that point therapy is considered complete. Follow-up studies of successfully treated children found them to be well adjusted, intelligent and empathetic. (See internet links for references). This entry was posted in Babies and tagged aware parenting, babies, birth. Bookmark the permalink.